Rising Star Award, Best “Game That Needed an Award” Award, Hidden Gem and Best Booth - goes the list of awards received by Wargaming.net during Electronic Entertainment Expo (E3), which took place June 7-9 in Los Angeles. Rising Star Award for E3 2011 was received by Wargaming.net from MMORPG. Best “Game That Needed an Award” Award was given to Wargaming.net by GamePro magazine for introducing Ultimate Conquest better-known as Clan Wars. “Its new Clans was definitely worth checking out at E3… It’s very impressive and adds a whole new dimension to the game," the review goes. 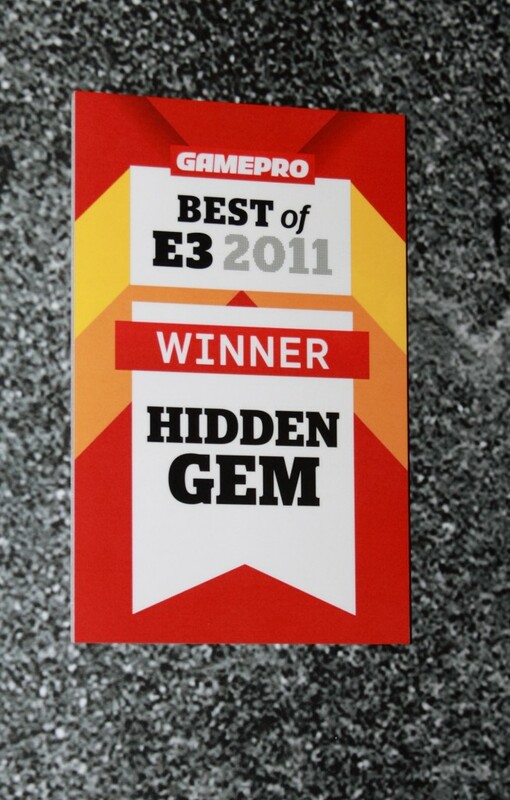 Apart from that GamePro considered Wargaming.net a hidden gem in many terms and awarded the company with the like-named prize – Best of E3 2011: Hidden Gem, which, by the by, was the very first award received by Wargaming.net at E3. One of the most widely-known MMO-portals Massively also got World of Tanks among winners. Massively-team alongside hundreds of E3 visitors couldn’t simply pass by the WOT booth. Real tanks and gorgeous female tankers did not leave anyone indifferent and as a result Best Booth award was added to the treasury of Wargaming.net. How the authors of the portal explained their choice of the winner, you will read on Massively. In addition Ten Ton Hammer nominated Wargaming.net for the same award. The results will be announced shortly and WOT-team is passionately waiting for it as well as for another announcement. The most unexpected nomination appeared to be Biggest Reveal of E3 2011. The revelation covers the new project of Wargaming.net – World of Warplanes, which is in its initial stage of development. Even the nomination itself is already flattering. However Wargaming.net still awaits the official results of nominations from Ten Ton Hammer and E3 committee, who haven’t even hinted at who will make the cut!